A month or so ago I jumped at the opportunity to host Sarah Cunningham on her blog tour for “Picking Dandelions.” Yesterday, I sat down with Sarah via Skype and chatted about the book with a little life and ministry sprinkled on top for good measure. Since I’m all about stories, I didn’t want to do a typical question/answer interview format here on the blog. So, instead, you get my interreview – little bit review, little bit interview, and hopefully little bit story. For those who haven’t read the book, Sarah is quite open about her character flaws and the roller coaster ride she’s been on trying to tackle them. 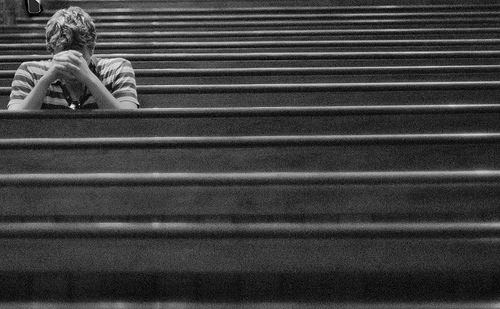 What would cause someone to sit down and write a book about their faith journey knowing full well revealing their flaws to the world would be part of it? Sarah wants people to know that their story of faith is important no matter how simple it may seem. She hopes that her story, flaws and all, will attract the attention of someone who isn’t looking for a Christian memoir, but maybe for a story of spirituality. In the church world we hear a lot about “Big Ideas.” The “Big Idea” of “Picking Dandelions” is transformation and the need for intentional ongoing change in the Christian Life. Sarah chronicles this journey in her own life with great humor and honesty for her readers in a Donald Miller-esque style. One change Sarah tackled was clutter, namely material clutter. Being a bit of a “hate clutter but can’t throw things away” person myself I was curious if Sarah had conquered clutter in her life. She says she has in some areas of her home like the living room and kitchen. Others, like her closet, however, are a bit of a different story. A great tip from Sarah for those looking to reduce clutter – put a post it note on clothing or shoes that you know you don’t wear on a very regular basis. Every time you where it, write the date on the post it note. Check the date the next time you use it. When you see it was a year and a half ago, you’ll probably be inspired to get rid of it . 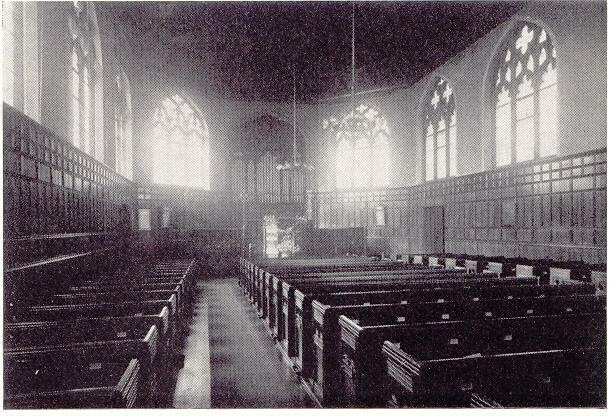 Working in a church I was curious how we as the Church can promote or encourage this idea of transformation and the need for change. I asked Sarah her thoughts and the answer she had was quite simple: with everything that you do – every Bible Study you start, every Sermon Series, every song – ask if it is leading people to be more like Christ. I think this is something our churches need to start striving for. (By the way, if you want to hear more of Sarah’s thoughts on this, check out this article). So, if you grew up in the church feeling gypped because you didn’t have a dramatic dark to light experience as a believer, then, “Picking Dandelions” is for you. Or if you did have a dramatic dark to light experience but now, some time later, you question how much your life has really changed as a result. Then, “Picking Dandelions” is for you too. Maybe you just want to read about someone else’s flaws to make yourself feel better? Well, then, this book could work for you too. But, be warned. As you read “Picking Dandelions” you will probably be, much like I was, inspired to take a good hard look in the mirror and give your character a check-up. And, well, you may not like what you find. The question will be whether you live with it or make a plan to change it. 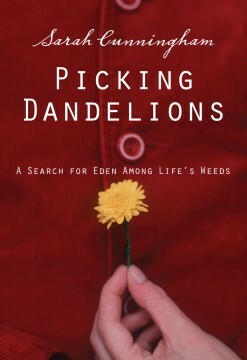 * Buy the book on Amazon: Picking Dandelions: A Search for Eden Among Life’s Weeds . We say we want to imitate Christ. But, sometimes I wonder just how far we are really willing to go. We talk a good game most of the time, but when it comes to living it out, the “walking the walk” we fall far short choosing the easy way out too often. Christ’s purpose was to seek out and to save the lost. Do we do that? Do we truly make it our personal mission and that of our churches to seek out the lost and share the saving message of the Gospel with them? How far are we willing to go to imitate Christ in that way? How much is one soul worth? Hmmm….just a little food for thought on this Tuesday. Do you want a free copy of Sarah Cunningham’s new book, “Picking Dandelions?” Entering is easy. On Friday I will be posting my review of the book as well as an interview with Sarah. I want to ask her your questions. So, leave a comment below with a question for Sarah and you will be entered to win a free copy of her book. The winner will be chosen at random. Update: You have until Tuesday February 23rd at midnight to enter! Tonight was one of those nights. The kind where I just have to throw up my hands and laugh because I am not in control. We turn the projector on for worship tonight. It comes on. Moments later it goes black. A couple more minutes go by and it comes on again. It goes black again. Repeat this for over an hour. In the meantime, we checked the filter. Dust it off, but it looks fine. Reboot entire system. Same thing. So, we ended up with tech fail imposed visual silence. And you know what, it all turned out just fine. We still worshiped. God was still glorified. And His Word was still preached. Sometimes I love it when technology fails. It is an awesome reminder that God is so much bigger than a screen or a computer or a light or a microphone. They are great tools, but He doesn’t need them…and neither do we. His Word works without those tools and sometimes in spite of. Even being on staff at a church, I totally get this because I feel it. I feel like many people look at me as only “semi-professional” because I don’t have a degree from a seminary that hangs on my wall. If I’m honest, this is something that way back in the cobwebs of my heart bothers me almost daily. The feeling of not being quite good enough, not quite as qualified as someone with that degree. Perhaps part of the reason it bothers me so much is I don’t understand the reasoning behind that thought process. I could hypothesize about it, but I won’t…at least for now. What about you? Have you experienced the “more qualified” mindset – from either side? What do you think the reasoning is for it? I was making changes on some material one of our volunteers edited for us. I found this prayer on the last page. It put tears in my eyes and a smile on our face. I love the people God puts beside us to help us to ministry!